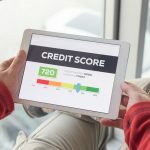 If you are more financially stable now than you were when you first bought your car or if your credit score has gone up considerably, the thought of refinancing your Auto Loan must have crossed your mind at some point. Needless to say, refinancing your loan can have a number of benefits and you could be paying off your loan while saving decent amount money for yourself too! What Does It Mean to Refinance Your Car Loan? For those of you who have been hearing this phrase for a long time and finally decided to look it up, refinancing your car loan is a fairly easy principle to understand. First of all, you see how much money you have left to pay off to the original lender, let’s say it is around $10,000. Then you find a new lender from a reliable place like https://aaacreditguide.com/refinance-auto-loan/ and take a loan of the amount equaling what you owe, in this case, $10,000, and use this new loan to pay off your old loan. It will be advantageous if you find a lender that charges a less interest rate than your previous lender so you may pay off the whole thing with some of the money you originally agreed to give up still in your possession. If you cannot find a lender who is offering lower interest rates, it is might be simpler to find one who can increase the time you get to pay off your loan. As we mentioned before, one of the biggest advantages of refinancing your car loan is that you might get a better interest rate and be able to save up some money by paying a lesser amount to the lender per month than you previously used to. It is also possible that the new lender could extend the time period of paying off your loan completely. This will greatly reduce the monthly burden on you since your installment will be less than what it used to be. However, you might end up paying much more for your car than you initially thought. At a lower interest rate, you may also find that you are able to pay off the loan much faster than before. So you could save some time and money with ease. Sometimes lenders can be really harsh on you and it is never a pleasant experience. You should know that this is as good a reason as any to find yourself a better lender so you can ease up a little. Lastly, one of the best ways to increase your credit score is by taking loans and paying them off. So the new loan you take when refinancing would actually serve as a little multiplier for your credit score, which will benefit you greatly in the future. Not something that I personally would actively encourage but I can see that this could be beneficial to some circumstances. I get where you’re coming from Logan as this is often seen as a greyer area. However, I did refinance my car loan last year simply because my current lender rates were astronomical. I didn’t find it the easiest of processes, but I can tell you that it’s worth looking around. I fully understand such concerns, and this is what I would like to see changed. Too many people are stuck with lenders that do them no favors and would be better going elsewhere. However, the current systems in place don’t always make the possibility of changing lenders that clear for customers – and that is wrong. Refinancing your car loan is like searching the market at renewal time – you just need to devote a section of time and put effort into searching.